Ada soalan mengenai Trou aux Biches Beachcomber Golf Resort & Spa? Terletak di Trou aux Biches, Trou aux Biches Beachcomber merupakan tempat menarik untuk memulakan pengalaman di Pulau Mauritius dan kawasan sekitarnya. Hanya 20.00 Km dari pusat bandar, lokasi strategik hotel memastikan tetamu boleh ke mana-mana sahaja dengan cepat dan mudah ke tempat-tempat tarikan. Dengan lokasi yang mudah, penginapan ini memberikan akses mudah ke tempat yang anda perlu lawati di bandar. Perkhidmatan hotel kelas pertama dan kemudahan yang menentukan pengalaman Beachcomber Hotels menanti anda di Trou aux Biches Beachcomber. Pilihan kemudahan kelas atasan seperti Wi-Fi percuma semua bilik, pengawal keselamatan 24 jam, khidmat teksi, meja depan 24 jam, fasiliti tetamu kurang upaya boleh dinikmati di hotel. Suasana Trou aux Biches Beachcomber terpancar di dalam setiap bilik tetamu. televisyen skrin rata, rak baju, kopi segera percuma, teh percuma, bilik persalinan hanyalah sebahagian daripada kemudahan yang boleh didapati di hotel tersebut. Hotel ini menawarkan pelbagai kemudahan rekreasi yang sangat baik, termasuk pantai peribadi, pusat kecergasan, sauna, kolam renang terbuka, meluncur ski. Apa juga tujuan lawatan, Trou aux Biches Beachcomber merupakan pilihan yang terbaik bagi penginapan anda di Pulau Mauritius. Tawaran bulan madu tertakluk kepada tarikh perjalanan yang dibuat dalam tempoh 1 tahun selepas tarikh perkahwinan. Salinan wajib sijil perkahwinan hendaklah dihantar kepada pihak hotel untuk pengesahan. Tetamu perlu membuat bayaran tambahan terus kepada pihak hotel sekiranya tidak layak untuk tawaran atau gagal menunjukkan sijil perkahwinan yang sah. Kanak-kanak berumur 0–5 tahun menginap percuma jika menggunakan katil bayi. Kanak-kanak berumur 6-17 tahun akan dicaj EUR 62 seorang satu malam termasuk katil tambahan dan sarapan. - Petang: kasual kemas untuk semua tetamu. Lelaki perlu memakai kemeja atau kemeja polo berkolar, seluar panjang dan kasut bertutup. 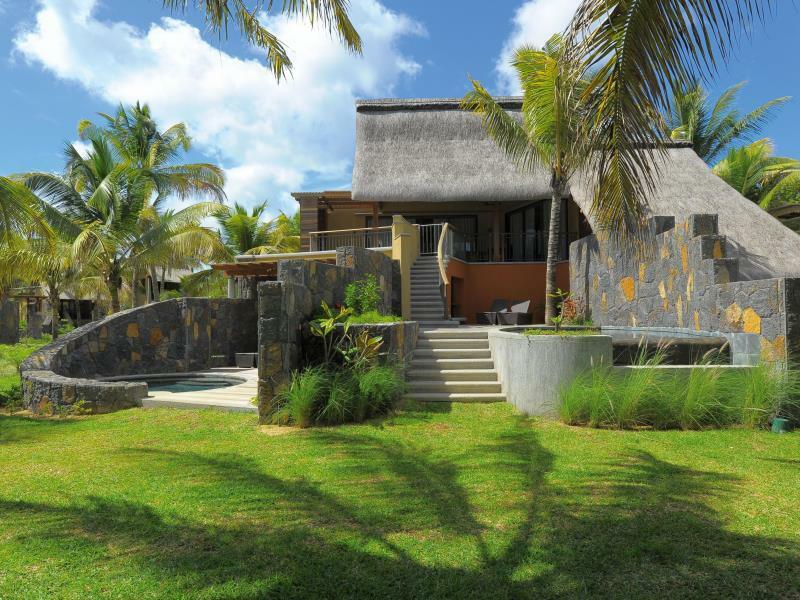 Great accommodation in mauritius. From the moment you check in, you can relax with a wet towel, juice and slices of fruit. The rooms are spacious and well maintained. The beach is beautiful. There are plenty of deck chairs for guests and the water is a turquoise blue. Water sports such as water ski, windsurfing, scuba diving and snorkelling are all complimentary. The buffet breakfast has something for everyone - try the crepes! We chose this hotel to spent our honeymoon. No complementary gifts were given to us other than a bottle of champagne. While in most of the hotels, they let u use the Spa or invite you to dinner. On top of that, we had to handed our marriage certificate to prove that we were on our honeymoon. Ridiculous. This lovely HOTEL has FANTASTIC STAFF who made our stay WONDERFUL. We had no problems at this hotel & we would gladly stay at this Hotel again. This hotel is set at the best location in Mauritius. The beach simply is the best, you can take a very nice swim or just lay there. Snorkeling was nice and easy, just a quick boat ride. Facilities (the pool in particular) and water sports were super. Also, there is a supermarket right across the road and a few nice restaurants within walking distance so you don't really get stuck in the hotel. Overall, we loved this place and would recommend. The thing can be improved: Normally in Mauritius the staff anywhere are simply amazing so you would come with high expectations on service. In this hotel, the service level was a bit weaker vs. the rest (I stayed in 3 different resorts so far in Mauritius, dined in a few restaurants outside, went to a few excursions, judging by that). This is a beautiful, well-designed resort on a fantastic beach with clear, azure water and many complimentary water sport activities. The rooms are spacious, well-appointed and either face well-manicured gardens or the sea. Service seems robotic and insincere at times with measured smiles to anchor their tagline of "5star service." A major setback was reservations had to be made for most dinners disallowing one to eat when one wants to eat. No walk-ins are accepted. The only "heated" pool was cold and devoid of bathers. Overall this is a nice resort. We spent a week at the Trou Aux Biches Resort and Spa (note the Beachcomber name is not recognised on Sat Nav, for example). The resort itself is spectacular, centred around a stunning pool area, with a number of bars and restaurants arranged around it. Given the size, some of the amenities can be a fair walk away but if you're feeling lazy or it's raining then the concierge will send a golf cart to drive you around. Our room, a Poolside Suite was pretty amazing! A giant bathroom with both indoor and outdoor showers. The main room itself was large, spacious, and furnished to a high standard, with a huge King Size bed and more of a "lounge" section with a sofa and table. The key feature was the outdoor space though, a patio that housed two loungers and a table/chair (where we would often retreat to after sunset) and a small private pool, more like a jacuzzi without the bubbles as opposed to somewhere for any swimming. On the whole, staff performance was good. The concierge was very helpful in arranging a day trip of Game Fishing with a local company (and managing the subsequent hassle of retrieving the sunglasses that I forgot and left on the boat!) and with organising a hire car for us. The only small frustration was that staff seemed to repeatedly challenge us on our room number - more from a security perspective than anything else, which kind of made us feel a little unwelcome, or if they thought we somehow didn't belong. There was also one bar, where we were asked for this 4 or 5 times while we had a few drinks one evening. In this case it seemed to be more like new staff and a little bit of a communication breakdown between them but didn't give the professional air that I would expect from such an establishment. Ultimately though, these were small points in the bigger scheme of things and didn't really impact my stay, and I would definitely recommend this hotel. 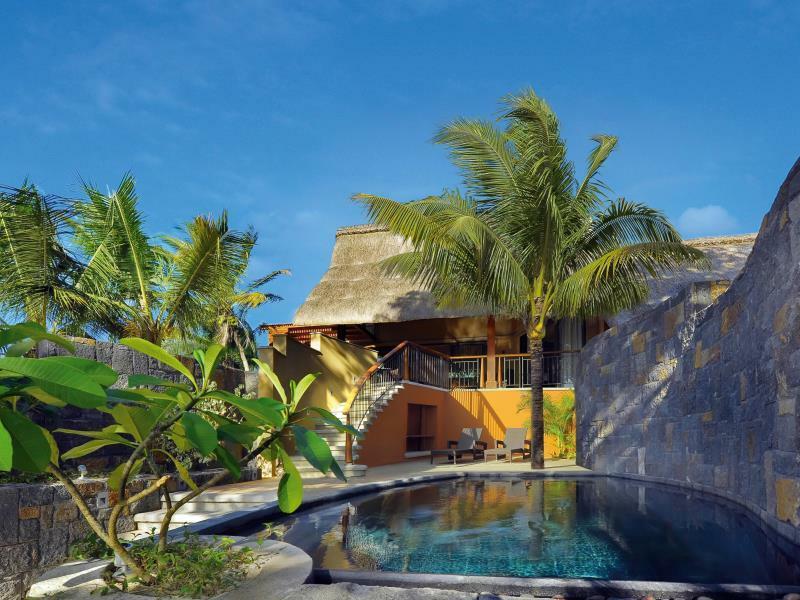 The Trou aux Biches Resort is really a little paradise, ideal for couple and Family. The beach is beautiful. You can enjoy your stay, with free activities like Standing Paddle, Water Ski, sailing Boat, canoe, Pedalboat. Restaurants are amazing, they have Thai, India, Local, Italian. The staff very professional and lovely. We will go again. REALLY GREAT FOR THE HONEYMOONER TO HAVE A ROMANTIC MOMENT. A BIG SWIMMING POOL WAS GREAT ALSO. BUT TOO MANY STREET SELLERS WERE KIND OF ANNOYING TO HAVE A RELAXED TIME. BUT, WE WERE SATISFIED WITH MOST OF SERVICES IN OVERALL. beach is the best in whole of mauritious. if you are looking for beach and searching for an other hotel, you are simply wasting your time. watersports is good. design of the hotel is good. i stayed in suite and it was very nice. there are many pools in the resort. very friendly and helpful staff! great great hotel!!!! the best in mauritius!!! We had an amazing 10 days within this resort, travelling with 3 young children. Somehow this place is able to cater to both families and honeymooners, and we looked forward each day to feeling like honeymooners once the kids were asleep. We regularly travel with a special needs child, and have rarely experienced service that went above and beyond to make our stay so memorable. Special mention to Fatimah within guest relations and Vijay as one of the hotel drivers we shared special times with. We already miss this very special place! Cannot recommend this hotel highly enough because of their amazing staff. We LOVE this hotel but especially the wonderful people who made our stay perfect! Thank you from the bottom of our hearts! Very nice and big resort. Very well maintained. A lot of serviceminded personal. A good expirence. Free snorkling tours are great. Great rooms.. Prices are too high, not least on taxi, wine and drinks. 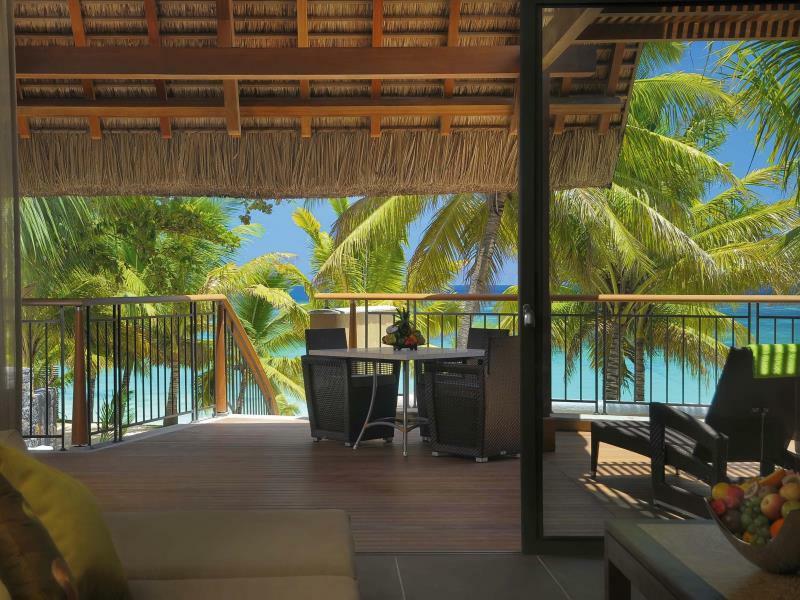 My wife and I spent 8 days at trou aux Biches in a senior beachside suite with pool. Overall the facility and service levels were outstanding. There are a good selection of restaurants with good food and service. We made use of the gym, spa and water sports which were of a good standard. My only comment is that the prices for food and beverages was expensive and did not offer fair value. I can highly recommend this establishment for some enjoyable downtime and pampering. 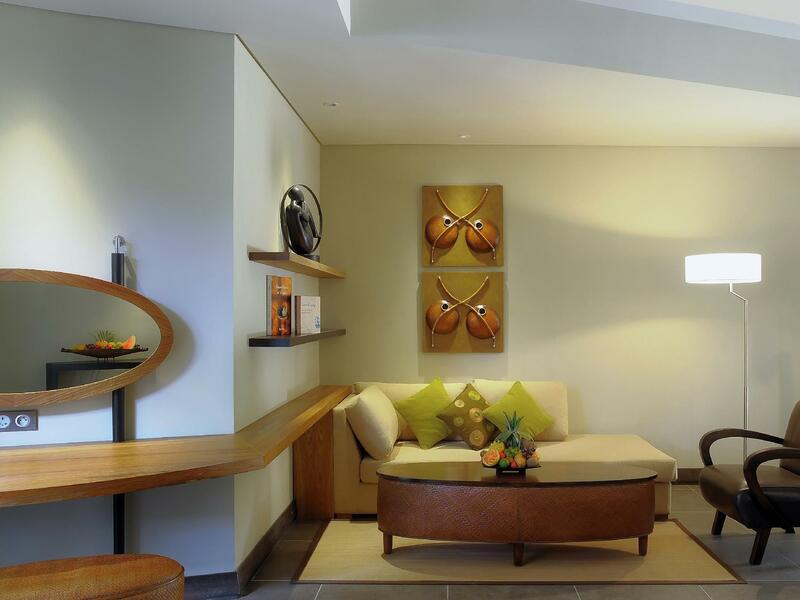 My sisters and I took a break aeay to Mauritius and had a fantastic stay at Trou aux Biches. Excellent location and evening theme festivities. Rooms are clean , and we ventured into al the restuarants on the restort and never had a bad meal. Thanks to the staff for a great stay. They have a very good facility and provide a wonderful service. During my staying, they provide free breakfast & Lunch and it was really good. You could enjoy free pedal boat, kayak at the resort. Doing nothing, just viewing the beautiful ocean, it makes you happy!